If you are interested in exploring the layers of history spread out on Ohrid hill, want to hear the story of the town and Ohrid Lake, want to see the authentic architecture and enjoy the many Byzantine-style icons and frescoes, we suggest this private half-day sightseeing tour of Ohrid. 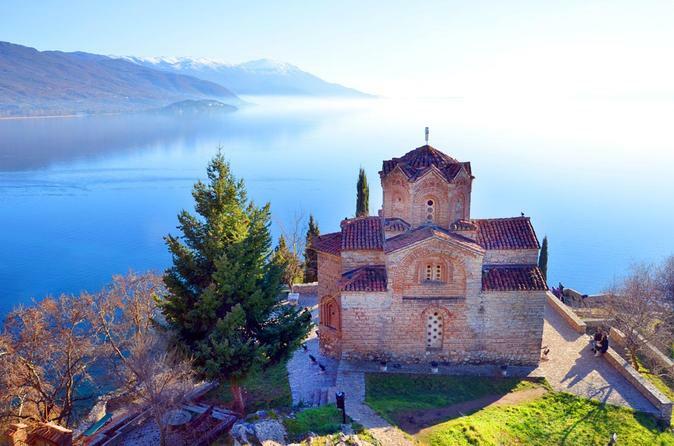 You will have the chance to find out why the town and Lake Ohrid are preserved by UNESCO as places of environmental, historical and cultural significance. 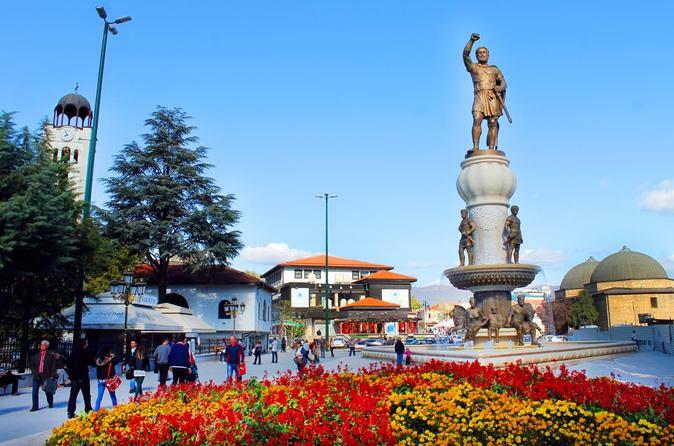 By visiting Bitola, you will have the opportunity to visit Heraclea Lyncestis, important settlement founded by Philip II of Macedon by the middle of the 4th century BC with the beautiful, well preserved floor mosaics, fine examples of the early Christian Art period, you will enjoy the mixture of Ottoman, neoclassical, 19th century romantic architecture. Join this private day trip to Skopje and experience the city, walk around, relax by the river and visit the most notable sights that this amazing city has to offer. Our distinct 90 km circle tour by land, around one of the world’s oldest and clearest freshwater lakes, inscribed on the World Heritage List of UNESCO, will be touched by both Macedonian and Albanian cultures, customs and attractions. 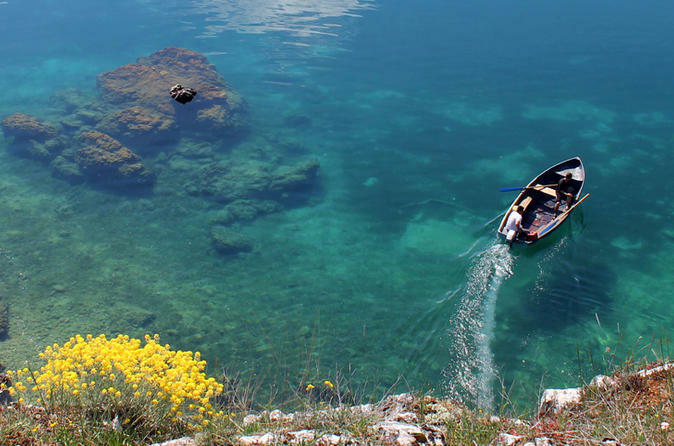 This full day circle tour around Lake Ohrid will give you the opportunity to compare the similarities and diversities of the two countries; taste some delicious fresh-water fish; witness some great historical and archaeological sites and enjoy the natural beauty of the surroundings. 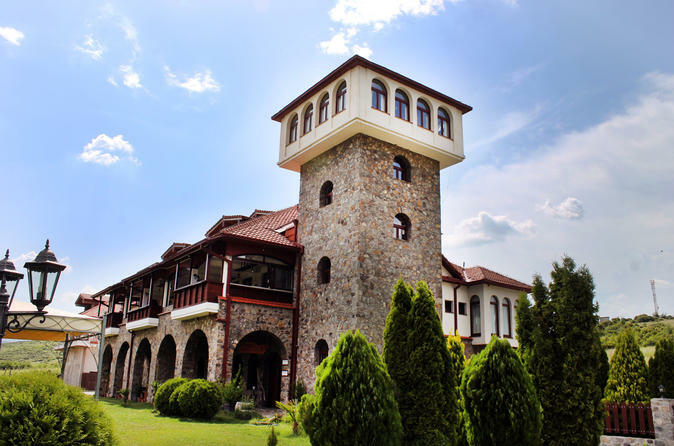 Experience a relaxing, pleasant day in the wine region of Macedonia. 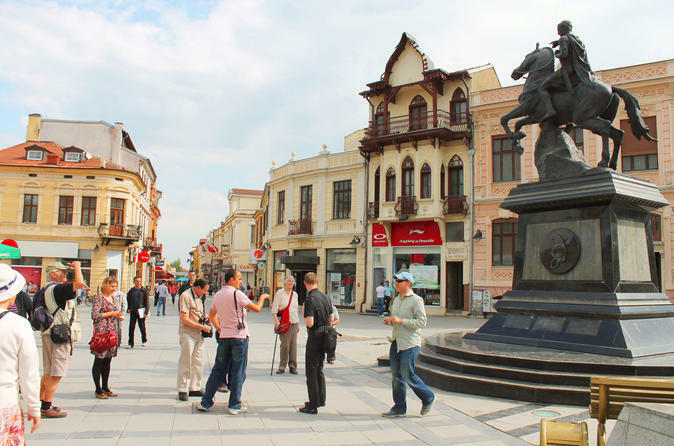 Visit the second largest city in Macedonia, Bitola, walk through 'Shirok Sokak' and definitely enjoy coffee in one of the many cafes on the pedestrian street. Visit the archaeological site Stobi, one of the best preserved archaeological localities where you can see the beautiful ancient mosaics, and then continue through the picturesque wine landscapes to finally reach the winery that is located in an unspoiled nature. Enjoy few hours in a private wine tasting session with some tasty local bites and breathtaking view on the surrounding mountains and wine landscapes! The numerous sunny days in Macedonia are the source of rich tastes and aromas that you will never forget! Go for a unique opportunity to try our authentic wines!